What Areas of a Hospital Would Benefit from a Visitor Management System? Take a second to picture a stereotypical Visitor Management installation. The kind of system doesn't really matter — it could be a software system, a log book or even just a package of expiring visitor badges on a desk. Now...where in this imaginary facility is the installation located? If you're like most people, you picture a Visitor Management system sitting in the lobby of a building, whether it's the ground floor of a multi-tenant office building or the entryway of a school. Hospitals aren't much different: if you picture a hospital Visitor Management system in your mind, you're probably going to see it in the lobby. It makes sense: hospitals are extremely busy places, oftentimes bordering on chaotic. This makes guest management key, and the first place that guests visit is usually the lobby. 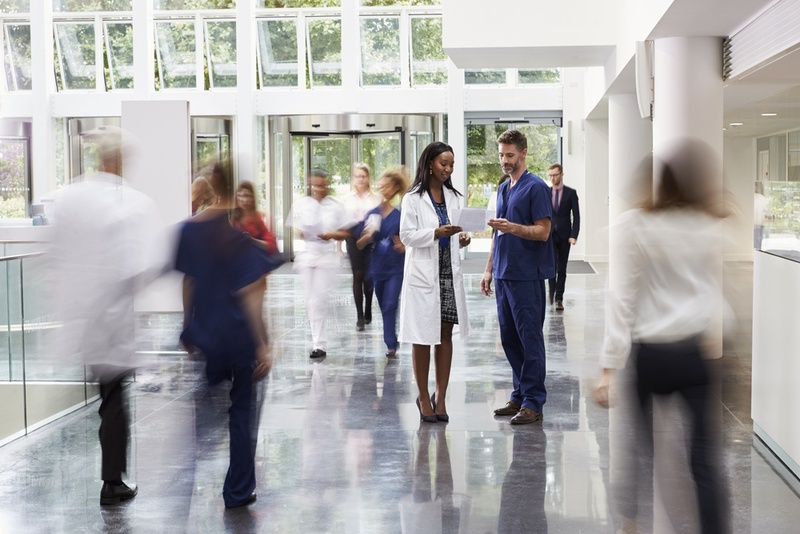 However, many hospitals find putting Visitor Management systems in their main lobby to be an overwhelming task, as there are so many moving parts and factors to consider. This can lead organizations to put off installing a Visitor Management system entirely, opting to postpone the expense and stress until they're better equipped to handle it. But procrastination like this leaves a facility vulnerable and ignores a big detail that many hospitals overlook: there are several other "smaller" places where a hospital can effectively install a Visitor Management system. It's hard to fault a hospital security director or administrator for thinking "lobby" when hearing the term "visitor management." After all, the lobby is where visitors enter, so that's where a system designed to manage visitors would go. Makes sense. However, guests don't stay in the lobby. In fact, the entire point of visiting a hospital is to visit areas beyond the lobby. Therefore, it makes sense to consider having Visitor Management installations beyond the lobby. Locations beyond the lobby are often great pilot sites, allowing a hospital to test out a Visitor Management process on a small scale. This allows the hospital to optimize and fine-tune the process before rolling it out to busier areas, like the lobby. Whether your hospital is looking for somewhere to test out Visitor Management or just wants to add an extra layer of security to certain areas, start with one of the sites below. The Maternity Department is a special place. Think of everything that goes on: expecting mothers receive treatment prior to going into labor, babies are brought into the world and grandparents, cousins and friends stream in to meet the newest member of the family. The Maternity Department is also a busy place, with doctors and nurses mingling with friends and family to create what can be a confusing scene. Unfortunately, this confusion helps make the Maternity Department ripe for nefarious activity, making it a good idea to have some kind of Visitor Management system in your Maternity Department. Our customers have told us a number of stories of security breaches or near-misses in their Maternity Departments: estranged partners or family members attempt to gain entry to the area, or a complete stranger tries to go see the babies without visiting anyone in particular. While no one wants to immediately assume a person is there to harm a child, a facility can never be too careful. Installing a Visitor Management system in your Maternity Department helps add an extra layer of security between new parents and the outside world, providing additional peace of mind during what should be some of the happiest moments of their lives. 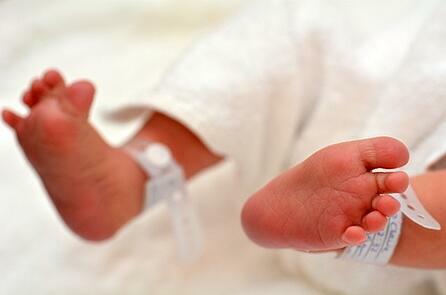 If the Maternity Department is confusing, the Emergency Department is straight-up chaotic. Here, doctors and nurses provide essential care to those in the greatest need, saving lives on a regular basis. Emergency Departments also often deal with understandably emotional or hysterical visitors who are there looking for an update on their loved one's condition. Like the Maternity Department, this flurry of activity and parade of guests can lead to security breaches. It isn't unheard of for someone to use this activity as a cover to sneak in and attempt to harm a patient or staff member. An Emergency Department Visitor Management system is a good way to increase security and ensure that unauthorized individuals don't gain access to this vital area of your facility. Having a Visitor Management system in your Emergency Department comes with an additional benefit: it can be used as an after-hours check-in location for all hospital visitors. Because most Emergency Departments never close, there will always be staff present. This allows your security team to lock all entrances after a certain time, funneling all guests to a central, staffed location. 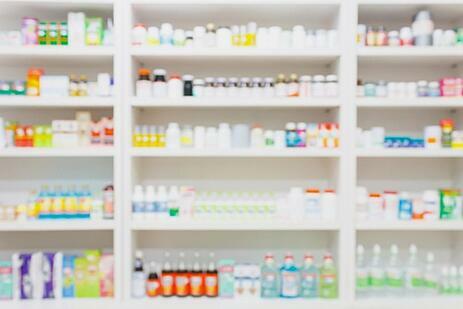 Hospital pharmacies are tasked with keeping tabs on vital, life-saving medication, making a safely run pharmacy essential for a successful facility. These pharmacies also see a high volume of people coming and going, whether it's doctors and specialists coming in to seek updates on requested medication or patients themselves checking on the status of a refill. Adding some kind of visitor processing to your hospital pharmacy is a great way to keep closer tabs on what's going on in this highly secure area. A pharmacy Visitor Management system can tell a facility who is accessing the pharmacy, how long he or she was there and more. The benefits are two-fold: a staffed system may deter those with bad intentions from even trying to enter the pharmacy, while also providing detailed records in the event of an incident. The Intensive Care Unit (ICU) is home to the most critically ill patients at your facility. These patients are often in a precarious position, making it essential to keep them in a safe, stable environment. Putting a staffed Visitor Management installation in the ICU helps ensure stability and safety in the unit. The installation can help keep unwanted guests out, lessening stress on patients. The installation can also be used to screen guests for potential risks that otherwise may go undetected. For example, your facility could ask guests to answer questions about potential illnesses at sign-in. This could help prevent someone with a cold or transmissible disease from entering the ICU and accidentally infecting patients who are already quite sick. Adding additional security to your ICU is a great way to take an extra step to protect your most vulnerable patients. Interested in exploring adding Visitor Management to one of the sites listed above? Our healthcare Visitor Management experts are available to offer you a free consultation. Contact us to discuss your pain points and potential solutions — all with no obligation.